Fred met Portland while they were both working in The Passing Show of 1922, Portland in the chorus and Fred as monologist. While the show was in an extended Chicago engagement they spent a great deal of time together. 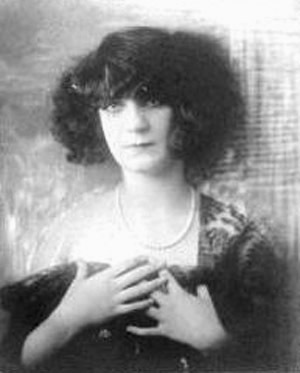 They remained a couple when the show closed, Portland often working as a chorus girl in New York, and Fred working in Broadway Revues and on the road in Vaudeville. Fred spent the winter of 1926-27 on the road with the Keith circuit. When he returned to New York he discovered that Portland had been taking instructions in Roman Catholicism with the Reverend Father Leonard at St Malachy's Church on West Forty-Ninth Street. "The next thing I knew I had bought the ring, and Father Leonard was marrying Mary Portland and me at the Actor's Chapel." It was common practice when a vaudevillian married for him to make room for his bride in the act. Not only did this give the wife something to do while the couple was on the road, the act would now be a "Double" and could ask for more money. Fred wrote an act for them and they toured it with the Orpheum circuit in the West. Portland had been named for the city of her birth, but had left as a baby. By the time they left Seattle the Portland Orpheum had closed for the summer. They would enjoy engagements in San Francisco and Los Angeles, entertaining the 'celluloid aristocracy" before returning to New York and Broadway. Portland didn’t seem to fit into any of the accepted categories. The more we heard her radio voice, the more we realized that a character, a small E-flat Frankenstein monster, would have to be custom-made for her." 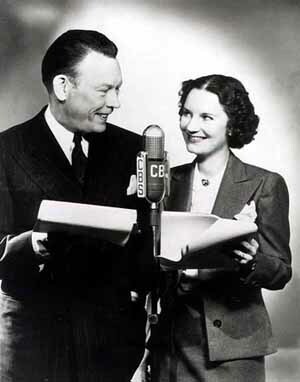 Most couples in radio comedy (with the notable exception of their friends Jack Benny and Mary Livingstone) got their laughs spoofing their domestic situation. This wasn't in Fred Allen's style, and Portland, with her familiar high pitched voice became a comic foil for Allen in short bits and later strolling the length of Allen's Alley. Her character was a young girl of indeterminate age, but most felt she was around 13. One of their sponsors loathed Portland's character, insisting that she be dropped. Fred railed back in an angry outburst- the only thing that made the broadcasts bearable was having Portland there, and he would quit if she were removed. Near the end of his career Fred was a panelist on the TV show What's My Line? In one episode, Portland appears as a Mystery Guest. 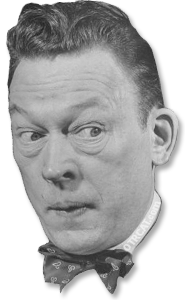 After Fred's death the producers wanted to do a Fred Allen retrospective, but Portland said no, instead wishing the show go on as always. Steve Allen took Fred's chair on the panel, and heartfelt tributes to Fred were given at the end of the broadcast. In 1959 Portland remarried to former bandleader and ad exec Joe Rines. Portland survived long enough to enjoy a second silver wedding anniversary. Portland Hoffa's Star on the Hollywood Walk of Fame for Radio is at 1640 Vine St.